Do you have overwhelming feelings of sadness? Do you constantly worry and find it difficult to relax? Do you have problems concentrating? Do you feel lonely and unaccepted? Paula is passionate about working with her clients to help them reduce their symptoms and reach their therapeutic goals. She is warm and caring and provides a safe environment for clients to speak openly without fear of judgement. Paula provides individual counseling to adults of all cultural backgrounds and the LGBT community. Paula primarily uses Cognitive Behavior Therapy (CBT) which helps clients build the necessary skills to counteract damaging thoughts, beliefs and behaviors. She also uses Dialectic Behavior Therapy (DBT) to make it easier for clients to manage emotionally overwhelming and stressful problems in healthier ways. Paula’s ultimate objective is to provide her clients with the necessary skills to achieve their therapeutic goals. 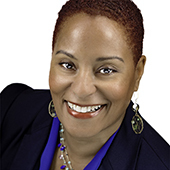 Paula received her Masters in Counseling from the Adler School of Professional Psychology. She received her undergraduate degree from Roosevelt University. Paula received her clinical training in a variety of settings which included, community centers, private practice and a psychiatric hospital. She is currently accepting new clients and invites you to call now to setup an appointment.